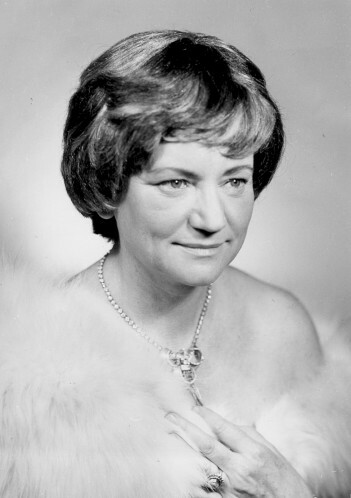 Stanislava Součková (*27 November 1923, Velim, Kolín District - +23 July 1997, České Budějovice) was a Czech operatic soprano and the sister of baritone Jaroslav Souček. Between 1951 and 1961 she was a member of the principal artists at the Hudební divadlo Karlín where she appeared in leading roles in operettas. In 1961 she joined the Jihočeské divadlo in České Budějovice where she remained until her retirement in 1974. She also was a frequent guest artist at the National Theatre in Prague. After her retirement, she embarked on a second career as a voice teacher on the faculty of the University of South Bohemia in the Czech Budejovice.